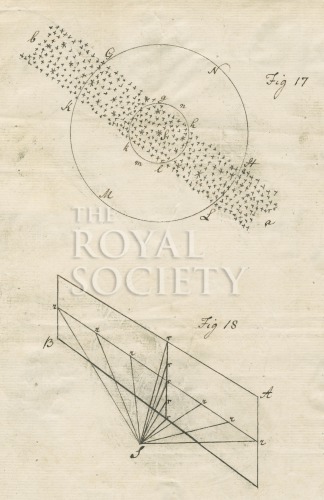 Plate 18 figures 17-18 for the paper “Account of some observations tending to investigate the construction of the heavens”, by William Herschel, Philosophical Transactions of the Royal Society, vol.74 part 2 (1784), pp.437-451. Figure 17 is Herschel’s demonstration of observing the Milky Way galaxy stars using telescopes of different apertures. Figure 18 shows a method of determining the Sun’s location in relation to other objects in what Herschel termed the ‘stratum’ of the Milky Way.